The world is filled with digital alternatives to everything from social interactions to education. We’ll be focusing on the latter. It’s no secret that a child’s attention span can sometimes be short and sporadic, which leads many to think that a digital school would not be effective, but the truth is that every child is different. If you take the time to lean into the option of online schooling, you may find that the stigmas around it could actually be benefits to your unique learner. Many times we worry that giving a child too much freedom allows for distractions and even misbehaviors. Where this stigma falls short is forgetting how beneficial flexibility and trust is to kids. Allowing a student to be independent increases their confidence and gives them a level of responsibility that will promote time management and self-worth. There is always the opportunity for distraction whether a student is at a brick-and-mortar school or getting their education online. Where you can really leverage this is by guiding your student and giving them some organizational tips and tools to manage their time and assignments effectively. One of the many benefits of a brick-and-mortar school is that it forces children to develop social skills because they are surrounded by opportunities for social interaction each and every day. Unfortunately, for some students, this is incredibly distracting and sometimes even stressful. The stigma that online schooling creates an antisocial environment is easily interpreted that way because of how different it is than a traditional school. 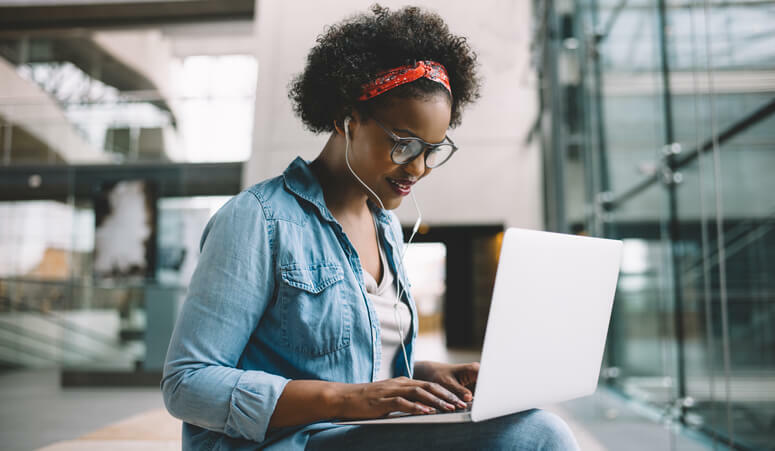 While students are typically doing their school work in a home environment where they are not surrounded by other students, online schools typically provide ample opportunities for social interaction between students. The separation and option of socializing give the student and families control over when they want to socialize and when they do not. BlueSky offers frequent outings, field trips, and an open-door policy for our student center. This provides a no-pressure environment for students to get to know each other. Another addition that keeps students on their toes and allows for a connection between teachers and students, is the option of live sessions for classes. This provides consistent interactions between students and teachers, and even between the students. Students’ interactions with their teachers and other support staff are highly valuable to their education. Being that online schooling is done digitally, there is a stigma that a student won’t get the same level of attention from the school staff that they would from a traditional school. While it’s easy to see why that stigma exists, it couldn’t be further from the truth. Here at BlueSky, we assign each and every student with their own personal team of leaders and administrators whose sole jobs are to provide personalized attention and guidance to the student. In addition to this, the teachers give each student personal attention and are consistently adjusting their teaching styles to fit the students learning needs. Our goal here at BlueSky is to be a part of your child’s success in school. We believe that this digital form of education can be incredibly beneficial and we are committed to doing everything in our power to helping our students succeed. Learn more about us by visiting our website.